We have an ongoing Food Drive project. 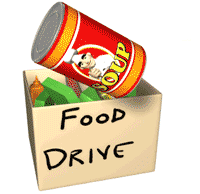 Bring non perishable food to the synagogue during office hours. 10AM to 2PM M-F Thank you!